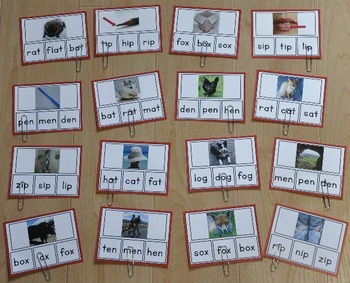 These CVC Words Task Cards focus on beginning reading skills. 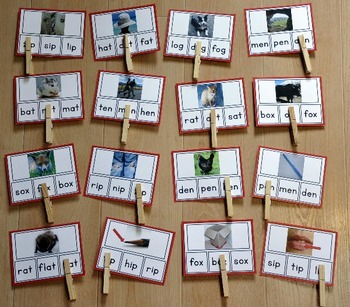 With these task cards, students look at a real photo, and match the correct CVC word to it. 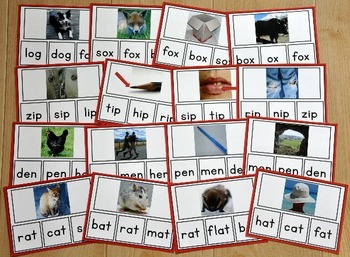 This set includes includes 5 different sets with 64 task cards total. 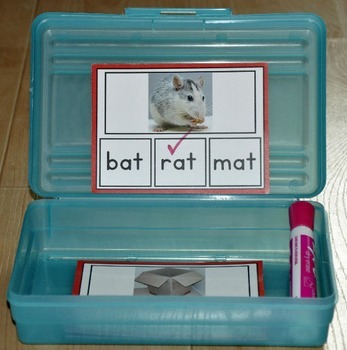 Use these task cards in independent workstations, learning centers or a small group setting. Students may complete them as a clothespin task, paperclip task, marker task, or answer orally in a small group setting (see preview for details).